Just got the new Facebook page up and running and is now linked up with twitter, so like/follow us for all the latest deals and offers. 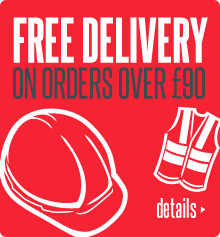 So get ordering now for your free pair of work gloves. Check out our new products on the home page or look under the categories disposables or head or face protection. Website is up and running and we have had our first few orders despite a little hiccup with the email side of things. We will also be adding some more products to the website this week, so check them out. Don’t forget, if you are wanting a specific product and don’t see it on or website, please send us an email and we’ll do our best to source it for you. Just received a delivery of disposable masks. Check out our range of masks under the disposables section. From dust masks to P3 Valved masks, we have everything to suit your needs. On the cleaning side of the business we have just completed the first stage of cleaning the brand new fire station at Workington, Cumbria. Border Construction Ltd have built the newly impressed building and we will be going back next week to finish off with a sparkle clean. Workwear Shop Online – New website launched! New website has been launched, cant wait for you all to see our range of workwear and PPE products. Follow us on Facebook and Twitter for all the latest updates! !